Cognitive and most other psychologies deal with the mind, thoughts and images that rage in peoples’ heads whereas HeartHealth takes one on a journey directly into their own mysterious world of pure being, feeling and emotion. This is a carefully hand-coded ebook and includes PDF, EPUB and MOBI formats. From the space of the heart we see the world, ourselves and significant others differently than our minds tuned to separation do. The deeper we go into the heart the more centered we become but the ticket to admission is steep. Without a love and commitment to truth it is impossible to maintain a connection with our own hearts or the hearts of anyone else for that matter. 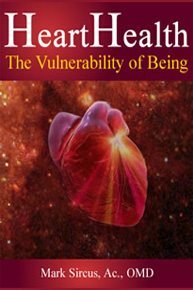 This book gives simple clues to knowing when you are in your heart as well as clues to knowing when you are gravitating into the separative space of the head. It also offers exercises one can do on ones own to penetrate directly into the heart and touch on ones most vulnerable of feelings. # 1 Can you make yourself vulnerable? # 2 Are you Judging? # 5 Is my heart in this? # 6 Are you at peace with yourself? # 8 Do you mind? # 9 Can you listen? HeartHealth Exercise # 5 - Are you Living in Truth?